"Someone in Uk should find out how Marie Stopes International Practices in UK". After 21 years of civil war in Sudan where millions of lives were lost, we would imagine that the most logical programme for the world’s youngest nation—South Sudan, would be one that promotes population growth to replace the lost lives. South Sudan, a country twice the size of UK, and population estimated at less than 10 million, is not ripe for abortion. Abortion is illegal in South Sudan and any organization or individual promoting abortion is promoting an illegality. However, despite what the law says and the knowledge that abortion is illegal in South Sudan, Marie Stopes International (MSI) opened a clinic in Juba (Hai Negli Area, East of Juba University) in July 2010. The opening ceremony was a low key event, intentionally designed not to attract media attention as it was soon after they had been kicked out of Khartoum. Their assets, including brand new cars, were taken by Humanitarian Commission (HAC) and all staffs paid six months’ salary to disappear and not talk to the media. "Marie Stopes International is the UK's leading provider of sexual and reproductive healthcare services. Our nationwide network of sexual health clinics see over 100,000 men and women each year who come to us for information, advice and professional care. We are committed to providing all the help you need to make informed choices about your health. We ensure that there is no wait for appointments and that our centres are safe, friendly, and comfortable places to visit. Our services include: Contraception, Unplanned pregnancy counseling, Abortion information and advice, Help for women needing abortions, Abortion pill and other treatment options, Vasectomy information and vasectomy procedure, Female sterilization, Health screening for men and women, Company health screening and STI testing." Even in countries where abortion is illegal, the practice continues but is disguised as provision of Family planning services. That is how they took root in Juba, South Sudan and in Khartoum previously. Taking the case of MSI Juba Clinic for instance, immediately after launching, 16 staffs were recruited to do underground mobilization, targeting young girls at the University of Juba and its environs. The message was clear: tell them there are family planning services and other services like those in neighboring countries (In Uganda and Kenya, MSI is known for this practice and they were targeting those who could have heard about it such as returning refugees). Realizing the targets were not being met, MSI decided to recruit and bring in a new country director, one who had the credentials of increasing sales in record time. And this time the sales were measured in terms of the highest number of abortions in the shortest time possible (year one target was 1500). Hardly a year into the operations, the first victim of the ‘safe abortion’ was recorded. However, the case had to be killed without being picked up by the media and the police. The family based in Ethiopia was paid and all expenses related to hospitalization and burial catered for by MSI. Late last year (2011), the third victim was a young girl probably in high school. The pregnancy was more than 12 weeks and the doctor on duty refused to perform the operation. He was sacked for this but the saddest part was that the young girl passed away. Using the NGO tag, MSI is freely getting supplies from UNFPA, MSH and Ministry of health in Juba. As you can see, Family planning commodities are given to them freely and instead of providing free services as it should be, the commodities end up being sold to the poor victims! Abortion drugs which are not registered in Juba find their way through parcels and staff hand bags. Any staff travelling to London or from London will be delivering of picking orders. Since they know that the scanning at Juba International Airport is not serious, they pass scot free and duty and tax free! Capacity building is one of the core pillars of any programme and true to that MSI ensures the staffs are taken out of Juba especially to Kenya, Ghana and South Africa where they can get many women coming for abortion to practice. The flip side is, instead of focusing on Family planning as indicated in the visas, the whole two weeks training is on abortion and those missing the real benefit to the deserving communities. It would be worth money to train midwives to improve the maternal mortality situation rather than focus on abortions. Documents in our possession indicate clearly the objectives of the clinic. To protect the operations, most documents are marked classified or confidential. These are never shared with outsiders. In the documents, you can clearly see what is written (different words are used to cover up the real deal, i.e. MSP and MSMP: Basically Abortions without medical assistance and with medical assistance respectively). Having operated for one year without being un-earthed, the strategy is to move to other good areas (potential business). 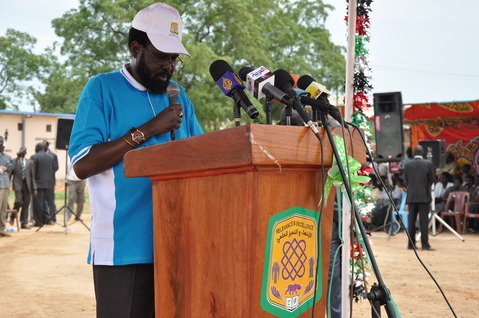 The major towns identified so far are Torit, Nimule, Yambio, Yei, Kajo Keji, and possibly Mundri. When staffs are being recruited, the only thing that matters is the pro-abortion answer. For example, even if you are the most qualified candidate but you are against abortion, then you have no chance of being recruited. Due to lack of adequate job opportunities in South Sudan, most people would grudgingly accept that they can perform abortions only to realize that it is a bloody and murderous affair. According to one of the providers: "I saw light after being presented with a case where the child came out still alive, I went home, confessed to a priest and promised myself never to be involved again." That’s how she left working for MSI. Her contract was terminated immediately. The big and urgent question is: for how long will this carnage continue? Or if it’s the best thing to have ever happened for our girls and women, then let the government openly announce that they want to, or have already, legalize abortion. In that case, let the MSI clinic and other clinics operate freely and competitively! The citizens of South Sudan, as well as the government, must be made aware of the illegal activities of MSI in Juba. The government must wake up and declare which side it is on, MSI or the law!! If the law had changed, then that should be made explicitly clear to all citizens of our country so that there should be accompanying laws to safeguard and protect the lives of our womenfolk at the MSI clinics and to punish any negligence and cover-ups going on there. The simple, yet the fundamental, question is this: under whose (and what) law are MSI clinics operating? South Sudanese must know because their love ones are dying under mysterious circumstances, all under the nose of a seemingly dysfunctional government in Juba and beyond the reach of the law! Surely, South Sudanese deserve better than this! Dennis is a concerned South Sudanese from Juba. I would like to take this opportunity to once again extend to you and the whole community of Juba University my heartfelt congratulations on the occasion of the historic Proclamation of our Independence on July 9th, 2011. This is a memorable achievement that our generations will remember forever. Our independence was not handed to us in a silver platter. We fought for it; we died for it; we got maimed for it; and at the end we won our freedom. The most difficult task is ahead of us. We must now join hands to build our nation. The theme for this occasion is of great relevance to our current situation: ‘Juba University: Torchlight on the Path to Development of the Republic of South Sudan’. You and other institutions throughout the country shall be indeed our torchlight in rebuilding our country. We should not do this to prove to others; but to build a better future for generations to come. We are the founding fathers and mothers of our new nation. As we have leaped into this new era, we must now mobilize our material and intellectual resources to develop. There are no other institutions more important than our universities that must become the basis of our strategy to build this country. Moreover, God has endowed us with immense resources that must be harnessed to jump start development. While we will not leave every stone unturned to mobilize for development, nothing can materialize if we do not invest resources to building and strengthening our national institutions of higher learning. We shall also ensure and encourage the establishment and expansion of private institutions. Remember that the most important asset a nation should strive for is to have an educated population. Knowledge lasts a lifetime and no one can take that away from you. The resources we have will end one day; but if we are innovative and creative, we will overcome whatever challenges we might face. The Government of the Republic of South Sudan will assume its sovereign responsibility of providing the necessary support and guidance for our higher education institutions. Universities are the nucleus of our national development. No country can prosper without strong institutions of higher learning. In fact, the government will compliment the role of universities by encouraging the establishment of ‘Think Tanks’ whose main purpose is to critique and guide government on how to implement programs. Let me also assure you that universities and education in general rank among the top government priorities alongside physical infrastructure development, health, power generation, and food security. In addition, this government will foster the establishment of professional institutions to assist in national planning and to cater for the improvement of universities and institutions of higher learning countrywide. We will expeditiously embark in construction of modern campuses to match international standards. This is very critical especially if we want to retain all students to acquire their basic degrees locally. This can and shall be done. Over the past several decades, South Sudan has lost its best educated people to other countries. Many fled during the war; but were able to learn and earn higher education degrees. We will do everything we can to end the brain drain. Indeed, many have returned home to help rebuild our country. But the challenge is what can this generation do to help prepare the next generation. Government cannot do everything. You as individuals should do what you can to help. Conventionally, universalities are the competence of the National Government. During the Interim Period, the Ministry of Education became responsible for the feeding, payment of tuition fees and transport cost for students in Southern Sudan universities. As a government we are still contemplating over how best to resolve the current appalling condition of our public institutions? Let me admit that the situation of our universities is a major challenge and we will not blame ourselves because there was a deliberate move by our adversaries to keep us below standards of humanity. I, therefore, take this opportunity to declare here today that the situation of our universities will change. The government will invest in transforming and building the physical facilities required for modern institutions of higher learning. We will start to improve all our universities in order to consolidate them and even make them become attractive destinations for both academics and practitioners worldwide. We will build universities today that one could imagine that if we were to die and rise after 200 years one can still find them blossoming! We will target state of the art institutional structures. I appeal to you all both academic staff and administrations of our public universities to put your minds together and come up with well studied recommendations and plans for strengthening our institutions, which must become the pillars of nation-building. We cannot develop if we do not invest in the development of the human resource in order to meet the challenges of modernization, particularly the implementation of the program of rural transformation. Our institutions of higher learning must become the propellers and the core of development. Creative learning must focus on the development of agricultural sector, physical infrastructure and the establishment of basic industries to meet the basic needs of our people. Now that we are in a free independent country, our population will increase and our needs will also expand tremendously. As I said before, we do have the advantage of beginning from scratch. We will not reinvent the wheel instead we will take stoke of the successes and failures of others to propel ourselves to the heights of modernity. We will choose what is relevant to our situation and cultures. We will not become copycats instead we will improve what others consider to be the best to make it even better. I equally urge you in our institutions of higher learning to engage in rigorous research in order to design policies and guidelines that will lay the foundation for development in South Sudan. We must design our universities and uplift remuneration standards so as to become attractive enough to compel our intellectual Diaspora community to come back home. We do have a sizeable Diaspora that we must encourage to return home. In fact, we are probably amongst the few countries in the world that are very privileged to become independent with a huge number of educated people. We must take full advantage of that by building an infrastructure that will attract our people who are still working abroad. There is also need to control the proliferation of private universities by setting standards that will determine the sustenance and quality of their establishment. This will include the development of relevant curricula to meet the development needs of the Republic of South Sudan. This responsibility will be given a government institution that must start to examine the challenges of higher education in the Republic. We will put our minds together and address some of the major challenges facing higher education in our country. Such challenges include: funding, accreditation of universities, physical infrastructure development, staffing, establishment of Research Councils, scholarships among others. The Government of the Republic of South Sudan will redouble its efforts in trying to address the difficulties faced by universities. I am fully aware of the current status of our universities particularly the lack of proper physical infrastructure and conducive environment for learning. I would like to take this opportunity to reassure you that it is just a matter of time we will fix such difficulties in order for our children to enjoy the fruits of the long struggle for freedom, Justice, Liberty and Prosperity. As I said during the declarations of independence, let us continue to celebrate but we must always be equally ready to wake up the following day and work. Let me tell you this: ‘Our rule of life now is to work’! I reiterate my appeal to the younger generation that this new nation is yours and let us commit ourselves to build it. Hard work is a virtue and in just a matter of time, we will prosper. There is nothing impossible and as it is said: ‘If there is a will there is a way’. The role of Government is to provide conducive atmosphere while citizens must join hands and work. We will issue comprehensive priorities for the next five to ten years as soon as the new cabinet lineup is in place. Before I conclude, allow me to reiterate what I told you during the 30th, July Martyrs Day. We cannot prosper as a nation without the unity and harmony of our people. We must accept our diversity and use our difficult past experiences to grow. We must work harder and harder so that in five years change must be apparent. Government will ensure that there is no hindrance or obstacle and people should go about doing their business without any kind of fear. Remember, I have declared war on criminals and I warned them to become attentive. Criminals should never skip every word I uttered against their abhorrent behavior. I said it during the Joint Sitting of the National Legislature that while I will continue to insist on you to work harder, I am already at work myself. The government of the Republic of South Sudan will do the best it can to enhance the welfare of its citizens. Development is not an easy thing to achieve. It will take time and in most cases those who build may not enjoy the fruits of their labor. We will build for posterity and it is our duty to ensure that future generations must not experience the same suffering we have undergone. In other words, suffering has ended with us and the future is brighter. The future is yours! Last but not the least, I would like to inform you that the two houses of our Legislature have convened and they will have to do business by passing all the critical laws for our new nation. These are the Council of States and the National Assembly, which constitute the National Legislative Assembly. This is the supreme authority in the land. The interests of the people are fully represented in this institution. Therefore, it is incumbent upon you as enlightened citizens to engage them as your representatives in order to ensure that your aspirations and those of the wider community are loudly articulated. Finally and as you may be aware, your government through the Central Bank of South Sudan has introduced the new currency, the South Sudan Pound (SSP). All citizens should welcome this important symbol of our sovereignty and demonstrate their nationalism by surrendering the old currency notes for our new legal tender which bares the portrait of our leader and hero, Dr. John Garang De Mabior. The exchange of this currency will end on September 1st, 2011. Please remove all the old Sudanese Pound and replace it with the new South Sudanese Pound (SSP). Once again, I wish you well in this independence celebration and may God continue to bless South Sudan. Companies are finding that they are having to redefine their marketing and branding strategies due to the unique characteristics of the internet and its capacity to change old rules (Ibeh et al., 2005). We have seen that a brand is generally thought to evoke, in the customer's mind, a certain personality, presence and product or service performance (Aaker, 1991; Doyle, 1998) and that the concept of a “brand” can be a way for consumers to simplify the time-consuming process of search and comparison before deciding what to buy (Rowley, 2004; Bergstrom, 2000). Many online businesses are, thus, searching for new e-brand strategies that might assist them in creating some distinctiveness and engaging their customers (Kenney and Curry, 1999). ensuring consistent delivery of the brand promise (Doyle, 1998; Court et al., 2006). Extending the discussion of branding to the internet environment introduces a fourth theme as being significant: content. These themes are developed into a framework for this paper which is dubbed “The Four Pillars of i-Branding”. The pillars in question are understanding customers, marketing communications, interactivity and content. Kierzkowski et al. (1996) state that to enhance their prospects of achieving successful i-Branding, companies need to understand online customers. This understanding provides the foundation for going beyond developing awareness of online offerings to a greater focus on developing the trust and relationships which form the basis of effective online branding (Court et al., 2006; McGovern, 2000). Server-side data capture. “Web analytics” is an evaluative online technique that uses easily obtained statistics, or “metrics” stored on server log files, to assess web site usage. Advanced web analytics software does not just collect such information, but also uses it in conjunction with other data, such as demographics, customer profiles and subscription information. Client-side data capture. Central to this concept is the “cookie” a mechanism designed to compensate for the stateless nature of the http protocol that controls the transfer of hypertext documents. What is particularly interesting for marketers is that cookies can be utilised to identify the habits of a particular user. Online surveys. Technology has revolutionized the way in which surveys are administered – with the advent of the first e-mail surveys in the 1980s and web-based surveys in the 1990s. Online surveys offer real opportunities in the quest to better understand online customers, such as: global reach; flexibility; speed and timeliness; technological innovations; convenience for customers; ease of data entry and analysis; and low administration cost. Databases. Customer data gathered by companies online can be stored in databases, and analysed to provide a depth of information on individual customers that would be impossible, for many companies, to obtain by non-electronic means. The most important output of the integration of internet/database marketing is the enabling of effective customer relationship management. Segmentation is viewed by Goldsmith (1999) as a key facilitator, helping the marketer to understand more precisely the structure of the market and who the customer is or should be. Target segments and develop more one-to-one relationships. The prototype of personalisation is the world wide web. The power of the internet is its ability to tailor itself for each of its users. As a branding vehicle the internet, therefore, not only offers valuable segmentation opportunities, but actually takes the concept of understanding customers, and therefore, more precisely targeting them, to new levels (Probaker, 2000). This more personalised targeting is a critical opportunity offered in developing the internet successfully as a branding tool (Ibeh et al., 2005). Personalisation is also viewed as an integral element of marketing communications in the internet context. Online communication combines mass media's reach with the personalisation inherent in two-way dialogue – previously only possible using personal forms of promotion. In this context, relationships are important at both individual and organizational level. Buttle (1996) argues that relationships with consumers are recognised to be at the heart of customer attraction and retention. Communication and consumer behaviour theories suggest that, when consumers have a preference for a brand, they are more keen and willing to receive information from it and also to search for information about it. Presence. After establishing a presence on the internet, one of the primary objectives is to attract a variety of interested parties to visit the company's online presence. A key benefit of attracting customers to company web sites is its positive relationship to brand equity when related to effective online strategies. Customers' perceptions of brands and companies can be positively changed by being attracted to an internet that is tailored to their specific wants and needs. Relationships. These are developed when customers and organisations work together. As interaction increases, relationships become stronger and more sustainable. Rowley (2004) states that as organisations become acquainted with customers they may choose to differentiate the quality and extent of their offerings and services in favour of customers who are profitable. Mutual value. This can occur as companies and customers interact to create value in ways beneficial to both. Companies derive benefit and value from the opportunities to create more tailored and relevant communication messages about products and services which are of interest to the customers (Quniton and Harridge-March, 2003). Company web sites. An organisation's site is a promotional event in its own right. In effect the web site acts as a communicator of a company's value proposition and brand promise. E-mail marketing. E-mail can be used for various marketing communications purposes: sharing information about products and services; promoting them; building brand relationships; guiding customers to web sites; alerting customers and confirming order status. E-mail marketing can facilitate brand encounters and deepen consumer-brand relationships with loyal customers, over and above seeking additional sales. Viral marketing. This is a set of online techniques that seek to exploit pre-existing social networks to produce exponential increases in brand awareness, through processes similar to the spread of an epidemic. Essentially, one person “infects” several people with an offer, who then spread it to several friends and acquaintances, until the entire virtual neighbourhood has been exposed. The global nature and ease of communication online makes the internet a powerful viral marketing tool. Essentially, there is a power shift from online to offline, as customers gain control and their time becomes the asset that both they and the marketers need to understand, with customer needs sacrosanct. In this context, Rowley (2004) claims that information and not image is the main currency in online communication. However, researchers such as May (2000) suggest that the internet must be more than just an information medium. It also needs to offer entertainment value, because that is what online customers expect. The internet needs to be a place where stories are told and dialogues are initiated, as well as information being discovered. This is where strong brand perceptions can be developed online. Therefore, the development of the internet as a marketing communications medium requires an understanding of how information, entertainment and commerce can be melded together within an online marketing communications mix. It is clear that interaction with customers is central to realizing the benefits that the internet can provide in understanding customers and developing more personalised marketing communications. In creating this personalisation and providing the opportunity to create positive brand perceptions, customers need to be engaged within the online environment. The internet is based on information and communication technologies that enable easy and rapid interaction between customers and companies in the search for information about products or consumer content, or in placing an order define interactivity as the facility for individuals and organisations to communicate directly with one another regardless of distance or time. First stage. Being able to address the individual. Parsons et al. (1998) identify two sub-stages: attracting buyers to the site, and engaging them once they are there. It is obvious that marketing communications will be an integral element in attracting customers to interactive features, and that response is further facilitated by having links from other sites (e.g. banner advertising, affiliate sites). Attracting buyers from outside the web environment relies on traditional advertising and word-of-mouth to promote the URL (Agarwal and Venkatesh, 2002). Once potential customers are at the site, its navigational design and systems are key factors in the company's ability to engage visitors by guiding them to interactive features (Fleming, 1998; Parsons et al., 1998). Second stage. Gathering and remembering visitors' inputs: essentially. Understanding customers through their own contributions to the communication. Two broad categories of input characterise this stage: manual, direct from the customer, and system-generated. Both allow the company to learn about customers (Parsons et al., 1998) while establishing dialogue (Berthon et al., 1996). The most basic form of manual input is the click on a hyperlink, from which behavioural data can be tagged or remembered for later analysis (Marcolin et al., 2005). Manual input could also consist of data captured in forms, dropdown boxes and videoconferencing. In contrast, the customer may or may not know that system-generated input is being collected. For example, a unique identifier such as a cookie can be passed back and forth between the web browser and the server without the buyer's knowledge, allowing database updates and retrievals to be completed anonymously (Marcolin et al., 2005). Third stage. Direct response to individual buyers, using data previously gathered and remembered via the site (Marcolin et al., 2005). In effect, this stage represents what is ultimately offered to buyers. That offering is often available in real time at the web site, or it may be initiated as a delayed response, such as the delivery of a product or a reply to an e-mail (Lincke, 1998). Blogs. Short for “web logs” this term describes a hierarchy of text, images, media objects and data arranged chronologically, that can be viewed via an html browser. The centre of the hierarchy is a sequence of posts, each with a title, link, and description. These can be designed by a company to encourage additional posts from customers, building a rich interaction on specific topics. RSS Feeds. Standing for “really simple syndication” this is a free internet service that allows customers to choose what they want to read, listen to or watch, and have it sent to them electronically. They subscribe to RSS feeds that interest them by clicking on the universal orange RSS button appearing at a rapidly growing number of web sites. Every time new content is added to a web site in this way, customers can receive relevant elements in their news feeder, and can browse the information at their leisure. Online Communities. Alternatively called “virtual communities” these are collectives of geographically distributed individuals, bound by a common interest in exploiting internet technology to enable communication. In the marketing context, their benefit to marketers is the range of customer data that can be gathered, by observing behaviour within online communities. i-Branding is dependent upon targeting customers with unique messages, unique functionality and unique content. When customers enter an organization's web site, they typically do so in order to find content on a given topic or to undertake a particular transaction. If a site is to effectively market products or services, and create effective i-Branding, then its design should allow such activities to be conducted in as straightforward a manner as possible. Group relationships within site content can be identified, according to Taylor and England (2006), by asking the question: “If a web site user is interested in a particular item of information/transaction, what similar or related items of information/transactions would they also be interested in?”. However, there is also recent evidence to suggest that unduly sophisticated and graphics-intensive web sites can create negative brand perceptions among users. The exact nature of the problem would appear to revolve around the long delays associated with downloading graphics and other sophisticated features such as Java “applets” . Indeed, Shneiderman (1998) proposed that users do not like to wait for more than a few seconds. Marketing planners need to carefully consider the strategic branding opportunities achievable through the integration of these Four Pillars of i-Branding. E-mail marketing communications has gained a bad press, with the issue of “spamming” engendering anger among recipients and leading to the development of filtering tools to prevent unwanted e-mails. Companies now have to gain permission from customers to e-mail them without the threat of damaging brand perceptions. However, there is a further element to this argument. Planners will need to understand what customers do value from regular e-mail communications, and personalise their e-mail communications to individual preferences (Merisavo and Raulas, 2004). If they do not, the empowered online customer will send the e-mail to the recycle bin. Viral marketing is a highly effective internet marketing communications tool (Datta et al., 2005), but will succeed in its objectives only if companies understand their online customers and provide offerings than can deliver better value than those from competitors. Customers will then have positive things to say online – which will spread with the “vial” rapidity that the online environment makes possible. Properly integrating customer understanding and marketing communications, therefore, permits a more targeted and personalised approach to online marketing campaigns. UBUNTU: Brief Meaning of African Word "UBUNTU"